There are a few different species of sole fish, all of which have a peculiar physical appearance yet all are quite delicious. They are also known as groundfish and they hug the seafloor with both eyes situated on the right sides of their heads looking up towards the ocean’s surface. The Bering Sea yields most of the sole fish on the market. As a premier white fish, they are an excellent source of low-fat protein, calcium and other nutrients and vitamins. Sole fish will make a high quality, succulent and healthy addition to your menu that will quickly become a favorite amongst your diners. All sole fish provide slender fillets, so care must be taken to not over cook them. These slim slices are best suited to poaching and steaming rather than baking or broiling. Your customers will take pleasure in the delicate buttery slices of culinary bliss created by your chef. Sole fish are lovely when served simple with herbs and seasonings and just as delicious when donned with flavorful sauces. Sole fish are caught by bottom trawling, which raises concerns about the impact on habitats and bycatch. Luckily, sole fish inhabit sandy and muddy seafloors rather that rocky or reef habitats, where trawling would cause more damage. All groundfish along the West Coast and Bering Sea are managed under a “catch share program”, which means all eligible fishermen split a fair share of the total catch for the year. This program reduces competition between fishermen and allows them to better plan their season, as they can choose to fish during safer weather. This type of management also lifts fishing pressure off the wild populations and stocks of most sole fish are on the way to recovery or already abundant. Pucci Foods takes pride in providing amazing seafood for bay area businesses and residents. When you choose wholesale products from our shelves, we guarantee absolute quality and freshness with every bite. And with our blue ecolabel from the Marine Stewardship Council, you can trust that our business strives to protect the marine environment. 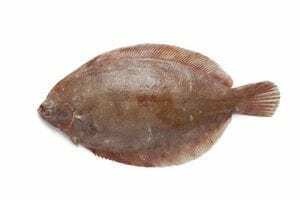 Order your wholesale sole fish by filling out the form on this page and a member of our teach will be in touch right away.